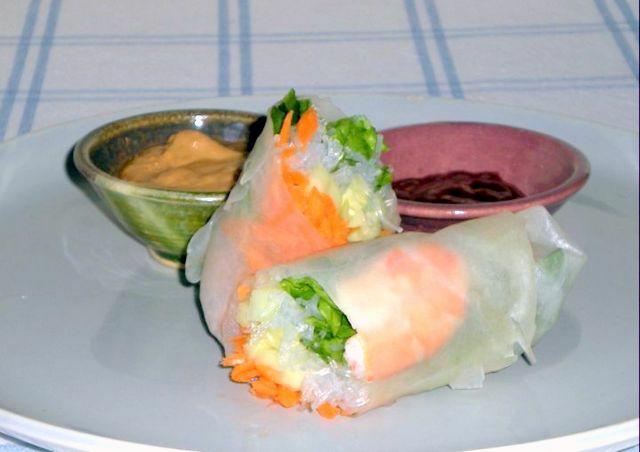 Sorry folks, but these are summer rolls, not spring rolls. Serve with your favorite dipping sauces, peanut and sweet Thai chili sauce shown. Entry filed under: For One or Two, Main Course, Popular Ethnic Dishes, Sides & Salads, Vietnamese. Tags: summer rolls.